For five years Printing-1 has been offering its customers the opportunity to create their personalized photo books. In addition to canvas prints, photo books and photo book calendars, Printing-1 is now offering wall calendars with an optional high-gloss finish. For the high-gloss option, the calendar’s pages are sealed with an environmentally friendly gloss coating that gives the images brilliance and sharpness in every detail. 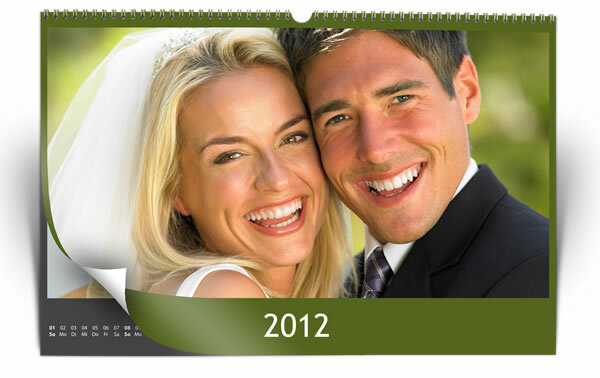 For the glossy option, each calendar page will be sealed after the digital print with a glossy, protective coating. This UV varnish improves the appearance and colour brilliance, coming close to the quality of photographic prints, without using temperature-sensitive PE photo paper. Customers can choose from eight different photo calendar formats. Thanks to the “glossy” option, the picture surface is protected from wear and fading, which ensures a long life for the calendar images and memories. Those using the glossy option can do this with a good environmental conscience, because the direct digital printing doesn’t use chemically developed PE photo paper; and the materials and processes used have been scrutinized under the environmental management norm ISO 14001 *. For those who want to review the photo calendars there is an additional incentive, because Printing-1 introduces its new photo calendars with £10 off on the first order. The coupon code "PRIXUK" is valid on the goods ordered by new customers till 30/10/2011. How to create a photo calendar? Select the calendar format: portrait, landscape or square. At Printing-1 the size can still be increased or reduced later. Choose the starting month and year. Select the calendar template and layout, insert images and choose background colours. Inserting small portrait pictures on birthdays gives a nice personal touch. Upload the photo calendar design to the Printing-1 server. Log into the online account with Printing-1 to share with friends with an individual access to the photo calendar (or photo book) layout by email, where they can order copies at their own expense if they wish. From the online account, photo calendar prints can be ordered at any time. Printing-1 offers a Windows and MacOS compatible online photo service, which can be used with images from any digital camera and specialises in photo books, calendars and canvas prints. The professional printing processes allow Printing-1 to produce photo books in "pocket" format with ring-or laminated binding from 7,95 €. The postage is £ 4.90 for the UK, Ireland, Europe and the USA. Between the Pocket and the Premium (40x30 cm) sizes, Printing-1 offers another five intermediate formats with up to 250 pages. The costs for the gloss-finish option are 30 pence per page on the large ‘Photo Book Maxi’ (30x30 cm). * ISO 14001 is a standard for environmental management systems. The aim of the standard is to reduce the environmental footprint of a business and to decrease the pollution and waste a business produces.